Microsoft is now rolling out Sticky Notes 1.6.2.0 for Windows 10 users. 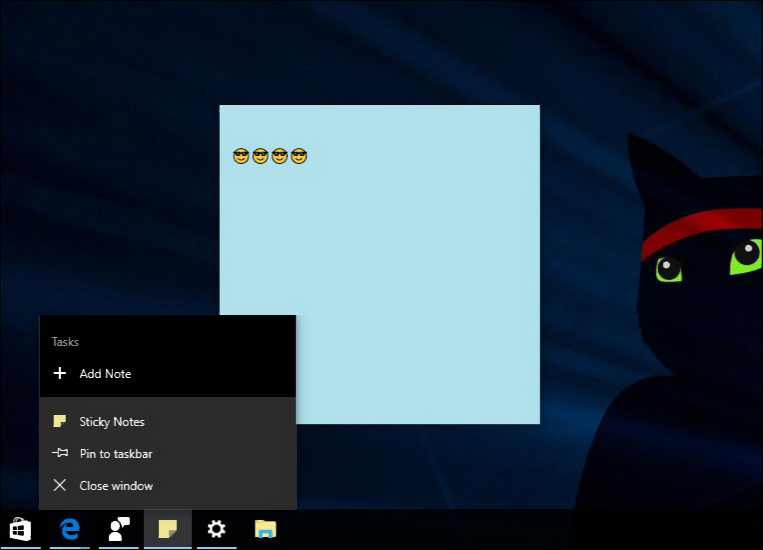 The latest Microsoft Sticky Notes 1.6.2.0 update brings many new features like you can now create a new sticky note right from the taskbar. Microsoft Sticky Notes also includes other improvements like the new the Segoe UI font rather than the Segoe UI Emoji font, which means you can now type Kaomojis like the shrug kaomoji. You can now create a new note straight from the jump list. Microsoft Sticky Notes now supports Segoe UI fonts as the app now support kaomojis. The text will stay still as you resize the sticky note. Microsoft Sticky Notes update 1.6.2.0 brings few little UI adjustments to the upgrade prompt, such as removing the Later button. You’ll now find a neat little X in its place. The app will be speedier at launch. Microsoft Sticky Notes 1.6.2.0 with new features is now available at Windows Store. Download it from the link below.